The days of insane bidding wars may still be a fresh memory for those who survived the battles… but they truly are in our rear view mirror now. Think way-way back to 2016. The biggest movie at the box office was La La Land, and making a profit on your house in Burlington only required you to list your house in Burlington. And if you were a buyer, you served up your best offer every time or you got served. Your real estate agent would go into the bidding process with a machete, covered in war paint. If they didn’t, you were slaughtered, left crying, homeless, and destined to pay another 10k for the identical house in a month’s time. While some fear it is the “bubble bursting” and others are hopeful it means homes will become more affordable, everyone should celebrate its semblance of sanity. But that was then and this is now. The market has slowed. While some fear it is the “bubble bursting” and others are hopeful it means homes will become more affordable, everyone should celebrate its semblance of sanity. Now the important question: what does a slow-down mean for buyers and sellers in the Burlington real estate market in 2019? What Should Homebuyers expect to see in the Burlington real estate market in 2019? In 2018 the average value of homes in Burlington fell by about 2.8%. This downturn, however slight, had a huge impact on how buyers and sellers behaved. Suddenly, buyers could take their time and look at a home twice before committing to it for life. And when they made an offer they were actually entering into a negotiation rather than a hostage-taking. We believe people considering buying a home in Burlington should expect the same environment this year. With recent mortgage rate increases, (and the possibility of further hikes on the horizon), coupled with heightened stress tests to qualify, the amount buyers can spend has decreased. That reality will force some buyers out of the market entirely, others to look at options at a lower price point, and pretty much everyone to weigh their decision on a home carefully. This doesn’t mean the market is going to tank. We don’t hear anyone predicting that for 2019. 1) Baby boomers who want to find more suitable housing and get equity out of their current residence. 2) Young, professional couples/ families currently living in condos in Toronto who need more space to raise families. 3) Immigrants and new Canadians. With about 100,000 people moving to the GTA every year, immigration continues to help produce a robust economy and place upward pressure on the market. The suburban areas like Burlington are often the best option for these 3 demographic groups. By the end of 2018, the average detached home in Burlington was selling for $938,572. By comparison, Toronto’s average detached home was selling for: $1,258,494. And that doesn’t even begin to speak to the lifestyle. What does it mean to have a backyard? A safe street for riding a bike? Quick access to farms and nature trails? The market in Burlington may have gone down approximately 2.8% on average in 2018, but that doesn’t mean it went down evenly across all property types and neighbourhoods. Being a buyer in a flat market doesn’t mean you can just assume you’re getting a deal because you get the home for less than the asking price. Having a local real estate agent with knowledge and experience in this kind of market is more important than before. The market in Burlington may have gone down approximately 2.8% on average in 2018, but that doesn’t mean it went down evenly across all property types and neighbourhoods. In order to make an informed decision and fair offer a buyer will need to know that the average price in Alton Village was down 1.5% in 2018, while the average price change in The Orchard was down a remarkable 12%. That’s a pretty significant difference right?! So when you’re making a decision on a Realtor to represent you on a purchase in Burlington, consider how much they know about the market; it really is a decision that could cost or save you thousands. What does an even keel market mean for Burlington homeowners considering selling? In 2016 you didn’t even have to clean the house or pick your underwear up off of the bathroom floor to start a bidding war. Now, you may consider moving in with your parents again just to keep the house perfect for showings. Now, it’s the home that looks like it’s out of a magazine and connects with a buyer on an emotional level that will sell first and for the most money. In 2019, Sellers are going to have to really consider who they choose to list their home. And Realtors are going to have to up their game to earn their commission. Throwing up a couple pieces of artwork and placing a basket of fake lemons on a counter isn’t going to cut it. A good agent can advise you what improvements or what cosmetic touches will boost the value of your home by tens of thousands of dollars. A good agent can advise you what improvements or what cosmetic touches will boost the value of your home by tens of thousands of dollars. Knowing exactly where to invest is vital and we think that only agents who work with both Buyers and Sellers can really advise you on that properly. Maybe you need to clear all that dead brush out of the garden, or add some pot lights to the basement. Maybe the best thing you could do to increase the value of your home is replace the kitchen, or maybe all you have to do is paint the cabinets. These questions have answers and getting an informed opinion will save you tons of money and headache. So if you’re considering selling, don’t be afraid. The buyers are still out there, the market hasn’t tanked, but expect your home to take more time to sell than it once did. 33 days on market is the average now and that’s really not so bad. You just have to stop looking through the lens of 2016. Thinking About Buying or Selling a Home in Burlington? 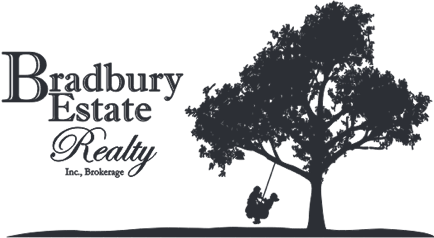 If you want to ask us any questions, you can click here to contact us, or you can click here to see homes for sale in Burlington right now! 2019 Best Burlington Schools, The Results Are In!